Pick up Power-Ups from blue item boxes! Lean back and boost along the perfect path. Tip: The further back you are, the longer your autopilot works. Stop your enemies on their way with this simple weapon. Tip: Fire back the rubber ball in narrow passages to unleash mayhem upon your foes! Make your opponents' engines fail and slow them on their way. Tip: Use the energy burst in areas where your enemies are likely to use their boost. Dash forward with a shorter but more powerful version of your boost. Tip: Combine the Boost Energy Power-Up with the boost of a boost pad or your personal boost to get the ultimate thrill of speed! Make boxing gloves burst out of the sides of your car to punch enemies out of your way. Tip: Use the boxing gloves to take a full row of item boxes from your chasers. Overcharge the energy pickups and let them explode a moment later! Tip: Keep away from the energy pickups, as the explosion can hit yourself as well. Block your enemys' sight with this colorful nuisance. Tip: Racers with better placement are inhibited more. Throw to cause an explosion or drop behind you to have it swell and burst! Tip: Drop it behind you to stop approaching homing missiles. Fire to automatically have it hit the next racer behind or in front of you. Tip: Use right after your enemy hit a boost pad to stop the push. ncrease your total score with each race to raise your skill level! Earn points with each race (except for Time Trial). • Position: Drive better than your opponents! • Speed: The more difficult the chosen engine, the more points you will earn! • Longest Drift: Try to score a really long drift to earn extra points! • Collected Energy: Each collected energy orb will award you additional points! • Remaining Energy: The more charged your boost engine when you cross the finish line, the more points will you get! • Enemies Hit: Each successful Power-Up strike against an opponent is worth ready points! • Awards: As described below, meeting certain special conditions will award you extra points! Total Score points fill your Level bar. Whenever it hits a milestone, your Skill Level increases! • Level 3 will unlock Baboo as an additional racer! • Level 6 will add Ion to your team! • Level 9 will have Pita join the friends! • Level 12 will inspire Migo to race for you! EARN EXTRA POINTS AFTER EACH RACE WITH THESE SPECIAL AWARDS! Get crazy bouncing into other racers. 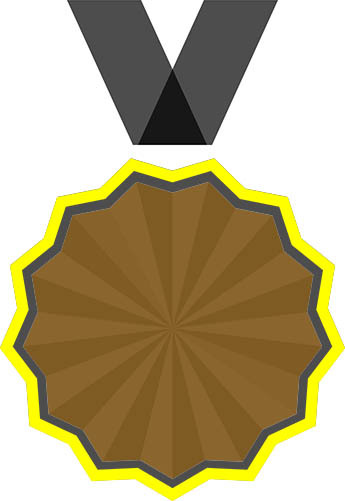 Use as many Power-Ups as possible. Use your personal Boost as many times as possible. Finish the race with a full Boost-Bar. Recharge your personal Boost as much as you can. Touch left to move your kart left. Touch right to move your kart right. Double-tap left or right to drift in the appropriate direction. Touch the opposite side while drifting to counter-steer. Swipe up on the right to throw your power up forward. Swipe down on the right to throw your power up back. Swipe on the left to use your personal boost. Touch the lower left or right corner to brake or back up. ...or by tilting your device! Tilt your device left to move your kart left. Tilt your device right to move your kart right. Tap left or right while tilting in the same direction to drift. Tilt to the opposite side while drifting to counter-steer. You can load your BOOST by drifting or collecting energy balls. There are three ways you can control your race kart: TILT, TOUCH or with a compatible and supported GAMEPAD. You can switch your preferred control in the settings. We recommend to use TOUCH or a GAMEPAD. iCade GAMEPADS are not supported. Every time you finish a race (apart from Time Trials) you increase your total score points and therefore your SKILL LEVEL. You can create new local players on the start screen by touching the upper right profile button. Each local player keeps her own high-scores and achievement results as well as his skill level. The Multiplayer matches are really fun. Make sure all devices are connected to the same WiFi and the connection is stable and of proper speed. If the lag is too high, try to reduce the amount of players in your match and reduce the distance to your WiFi router. It might also help to disable other devices WiFi connection which might decrease the WiFi performance (e.g. streaming devices etc...).